The Canadian telecom and Internet regulatory model is broken. The basic premise is that the regulator, the CRTC, puts rules in place to support market and consumer choice. This can be traced back to the original resale and sharing rules from the 1980’s and then Decision 92-12 that opened up the long distance market to competition. But currently independent Internet service providers cant get reasonable access to the oligopoly fibre access to the home. I personally ran into this situation when I sold my long time home back in 2014 and moved into a new apartment building that was wired with fibre from Bell and Rogers. I wanted to get internet service from my long time provider, Packetworks. But I could not as the telcos were not required to provide access to their fibre networks. Even after a decision in 2015 that was ostensibly to open up the market to choice by forcing the oligopoly to resell their fiber access networks, the rules are so arcane that it is not cost effective for a competitive provider to gain access. In our new home, I was able to get Internet service from TekSavvy using the existing cable TV network for access. I am partial to the 150 MB download speed and the unlimited usage that TekSavvy offers. There will come a time though, and probably soon because I work from home, that I will want to upgrade the download speed and that will require fibre optic access. If the rules don’t change I will be limited to having to get service from Bell or Rogers and won’t be able to support independent Internet service providers. I won’t have a choice. That has to change. That is why I have decided to join CNOC, the Canadian Network Operators Consortium. CNOC is the organization that puts on the Canadian Internet Summit each year. It represents over 35 independent internet service providers like TekSavvy, Distributel and Primus. CNOC fights for fair rules from the CRTC, not just for its members, but for all Canadians. My entire 35 year career in telecom has always been on the competitive side so this seemed like a natural move. I can’t just sit on the sidelines and let others just fight on my behalf, it is time to take a stand. Will you join me ? Monday, November 5th, 2018 is the start of this year’s Canadian ISP Summit to be held at the Toronto Mariott Downtown Eaton Centre Hotel. 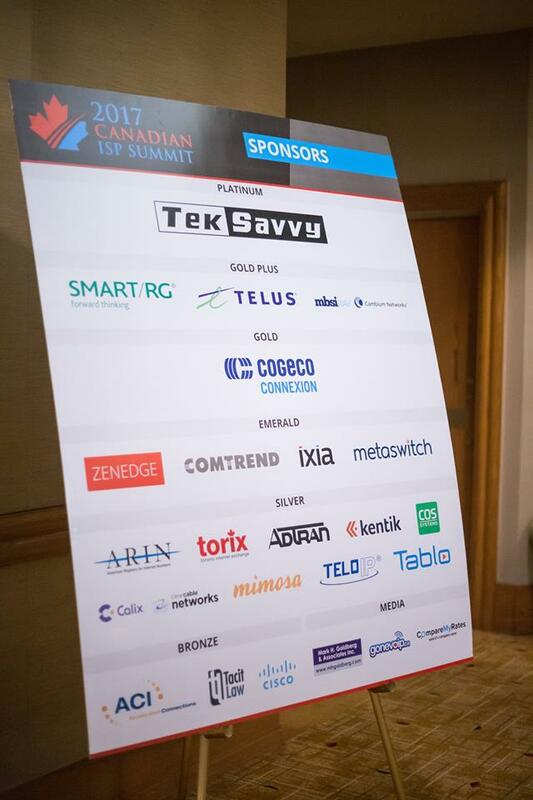 Designed for Internet Service Providers (large and small) from across the country, the Canadian ISP Summit is a conference that allows attendees to learn, grow and network in the Internet and data networking field. It is put on by CNOC, The Canadian Network Operators Consortium Inc. There are three days filled with keynotes, panels, general sessions and lightning talks. There will be technical sessions, business related sessions and some superb regulatory discussions. There are plenty of opportunities to network before and after sessions, during coffee breaks and meals as well as cocktail receptions and fabulous dinners. I have been lucky enough to attend two of the last three ISP Summits and will be attending again this year. It gives me an opportunity to focus on the data side of AurorA’s business. International telecommunications is more than just voice termination; AurorA also provides international data services such as MPLS, SD-WAN and even private line bandwidth up the wavelength level. 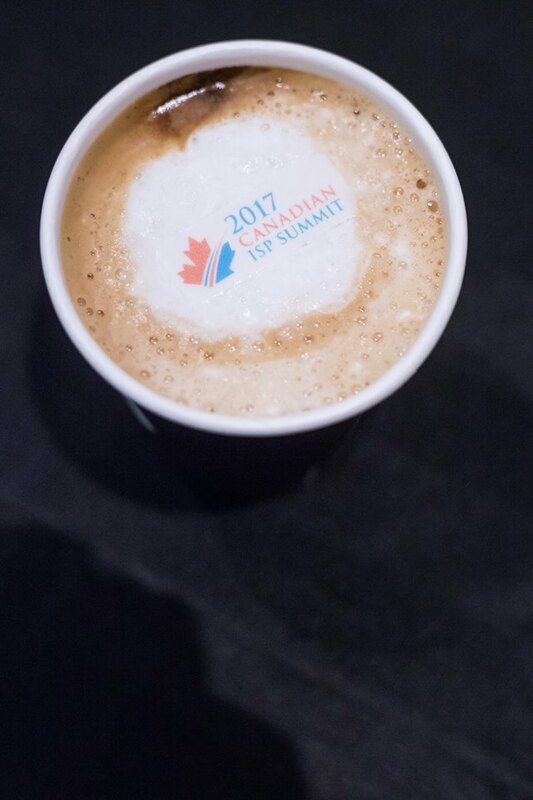 The Summit energizes me, educates me and introduces me to data and ISP industry people from across Canada. This year I will be trying something new by blogging from the conference. My goal is to post a summary each night of some of the more significant talks, discussion and events of the Summit that I feel would be relevant to you, my readers, specifically from an international telecom perspective. As usual a good part of my summer relaxation was reading. While on vacation in the Spectacular Northwest Territories I indulged in fiction (Neil Gaiman who is a favourite of mine, Jo Nesbo for spare Nordic crime stories and a Young Adult book “Gregor, the Overlander” from my stepson) as during the year I read mainly non-fiction. My family knows that I love books, so I try to make gift giving easy by having “Wanted Reading” lists prominently posted. 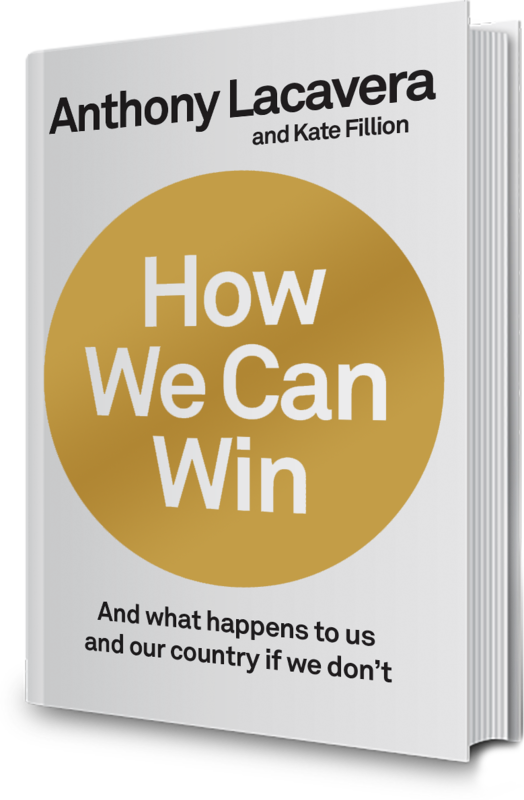 One book that I got for Christmas and have been itching to read was Anthony Lacavera’s “How We Can Win – And what happens to us and our country if we don’t” which I finally got to read ! This book is a call for action for all Canadians to Dare to Succeed, to apply the same lessons that we learned in Olympic medal success with our Own the Podium program to our business and economic life. He argues that our future prosperity, and being able to afford all the things we value as Canadians, our social safety net, universal health care, our high quality education system are all dependent on us changing our beliefs and then acting on improving our productivity, innovation and competitiveness. Especially our international competitiveness. I was lucky enough to have met Anthony Lacavera once in the past, back when Globealive had bought Yak, around 2008. He was very smart, friendly and engaging. Plus I have heard him speak at the Canadian Telecom Summit many times when he was running WIND, the scrappy cellphone company that was challenging the Bell/Telus/Rogers mobile oligopoly . As my entire career in telecom has been on the competitive side, cutting my teeth during the Long Distance wars back in the early 1990’s I was really anticipating reading the WIND story and learning more details about what actually happened. The entire first chapter is devoted to WIND and its various trials and tribulations. Some of the anti-competitive roadblocks that WIND ran into challenging the incumbents sounded very familiar. The oligopoly does not play fair when their protected position is threatened. The Federal government and the regulator allow this. Lacavera presents it all as Exhibit A of why our business culture here in Canada has to change if we are to succeed as a nation. Our telecom sector is coddled, not required to compete against the best in the world, and hence our other businesses, enterprises and citizens overpay for substandard services. And since telecom services are THE key input in an information economy it hampers all other sectors ability to innovate, compete and be productive. Lacavera then proceeds to highlight in subsequent chapters other factors that are holding back Canadians in winning in the global marketplace. He highlights our attitudes and belief systems , the Canadian mentality to “Go for Bronze” or a participation award rather then aiming to win big, as if wanting to come first was “Un Canadian”. The lack of funding available to high growth startups, from angel investors and from venture capital which is much harder to get in Canada. Highly touted Government R&D and innovation programs are designed to maximize political gains and spread large amounts of money around the country, often ineffectively. There is no true policy for identifying sectors or companies that show true promise of being disrupters that can be scaled to tackle global markets. We have seen some of these arguments before in various studies and expert panels that the Federal government commissions and then ignores or only partially implements. The book does a good job of integrating many of them such as the Jenkins panel in 2011, Naylor in 2015, Wilson in 2008. The book brings all of these and more into one cohernet call for action, not just for government but for all of us. One of the most positive and optimistic chapters highlights some of the work being done at the Creative Disruption Lab at the University of Toronto. Here start-up founders could get a “dose of judgement” from seasoned entrepreneurs who had “been there, and done that”. They can share their experience, network connections, and judgement with young founders. Start-ups have to compete hard to get into (and stay in the program), as do MBA students, industry types and anyone else who wants to observe. The chapter has some great examples of start-ups that have benefitted and were able to accelerate their growth providing concrete proof that we can do this here. My only quibble with the book would be a personal one as I live and work in Kitchener/Waterloo. There are many references made to people and companies from Waterloo. Tom Jenkins(Open Text), Jim Balsillie (RIM, Blackberry), Ted Livingston (Kik), Stephen Lake (Thalmic Labs), Mallory Brodie (Bridgit) were some that come to mind. I understand that Anthony Lacavera has ties to Toronto, but I would have expected to read more about the culture of entrepreneurship and innovation that is happening here in Waterloo where world leading companies have already emerged and where we are home to the second highest density of tech start-ups outside of Silicon Valley. A lot of what he is prescribing is actually happening here. I quite enjoyed this book and whole heartedly recommend it; both for general business audiences but especially to anyone who is an executive in Canadian telecom. 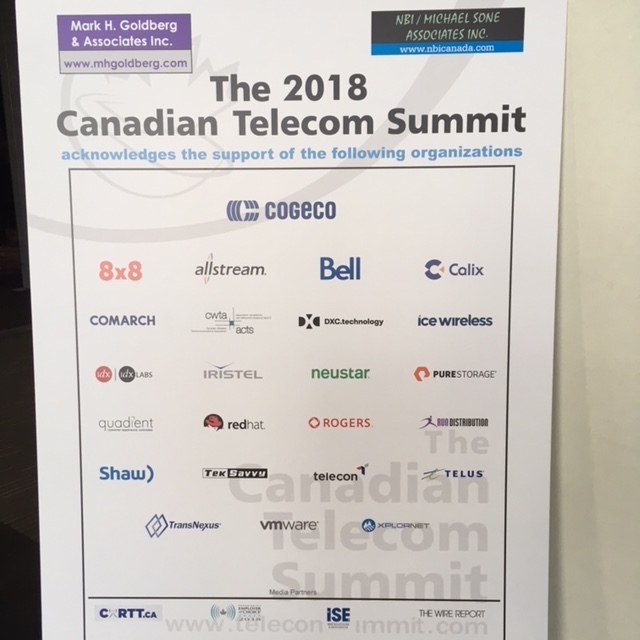 Wednesday wrapped up the 2018 version of the Canadian Telecom Summit. Day 3 featured panels on Artificial Intelligence and Innovation (both great topics when you hail from Canada’s tech capital, Waterloo), keynotes from Allison Lenehan of Xplornet, Patricia Meredith of Catalytic Governance and Stephen Howe the CTO of Bell. Then the finale, a keynote from Navdeep Bains the Federal Minister for ISED. Most of the above content is covered on twitter and in news reports on CARTT, the Wire Report and in the daily newspapers so I won’t rehash those details. One thing I did find very cool, was Stephen Howe showing us in his luncheon keynote how they are installing 4G LTE advanced service to 25 sites WAY up North, north of the Northwest Passage. The logistics make it a 2 year build, with all the required gear being shipped up in shipping containers through a narrow window of June to September in a race against the ice. You have to send up everything as you cant run out to Rona for tie wraps or tools up in Grise Fiord on Ellesmere Island. That was very interesting to see the challenges of installing cell service in a harsh remote location and it made my inner engineer geek out. I also wondered if it might have been more cost effective to just get every resident an Iridium phone and a subsidized plan ? 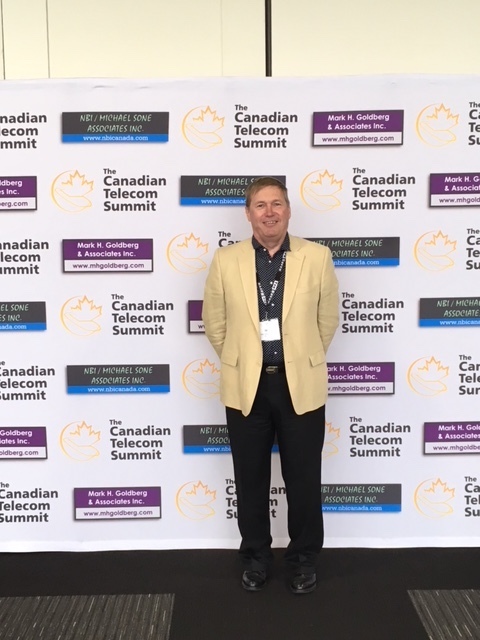 So what did I get from my 17th edition of the Canadian Telecom Summit ? A reminder, again, that it is all about the people. The CTS brings a lot of our industry together in one place for three days, to learn, to argue, to laugh and eat and talk, face-to-face. Given that we make our livings in telecommunications it is still vitally important to connect in person. It is a reminder that I need to have such interactions more often. Yes, I did business while at the event. How could I not ? But it is more than just doing deals and making sales. I got to meet-up and catch up with many old friends who have been through the ‘telecom wars” with me. At the lunches and coffee breaks and networking reception I got to meet new people, from all over the industry and all over the country. I even got a recommendation for a great Ethiopian restaurant in Yellowknife for when we visit this August (thanks Curtis !). So a big thank you to my friends Michael and Mark for another great edition of the Canadian Telecom Summit. This event is important, thanks for gathering us all together for three days and I am grateful that you do it. 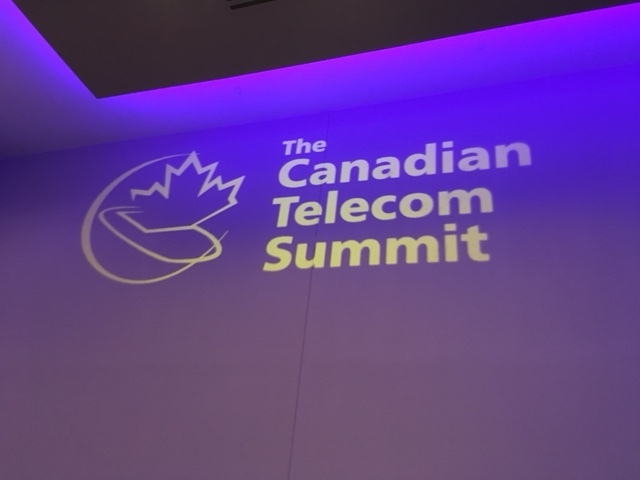 The second day of the Canadian Telecom Summit was action packed again. The highlight was the annual regulatory blockbuster in the afternoon with the addition of Samer Bishay from Iristel and Andy Kaplan-Myrth from TekSavvy to the panel to face off against the incumbents; Bell, Telus and Rogers. Aside from the fireworks on the stage, and the buzz from the keynotes and the panels the world kept turning. My attention was pulled away by a customer issue that needed to be dealt with. I was able to field the query and initiate resolution with a quick email to India. Twitter then informed me that Kate Spade had passed away in New York. I glanced up to see that Novak Djokovic had just lost in the quarter finals of the French Open to an unseeded Italian player, Cecchinato. And it occurred to me that I now take this all for granted. When I started in telecom, I learned to type on a 50 baud, Model 32 teletype that served as my order wire and trouble ticket system. There was still open wire carriers (ie wires suspended from poles running beside the railway tracks) and mechanical switches that made a racket when the customers dialled and they completed the calls step-by-step. There were no mobile phones, a pager on my hip served to keep me connected in case of customer emergencies. News was delivered the next day in the newspaper. And the only way to watch a tennis match from Paris was to actually go there. In the short span of three decades, telecommunications has made miracles seem ordinary. It has enabled me to be able to run a global business from anywhere. I can reach out and instantly connect with my customers and suppliers. The computer in my hand gives me news and alerts, the moment things happen. I can choose whatever entertainment I wish, whether it is watching a tennis match from the other side of the world or reading the ramblings of an obscure middle aged blogger from Northern Ontario. Don’t take it for granted. Telecommunications really is a miracle. I was reminded why I love what I do so much.The Canadian Telecom Summit is an annual celebration of that. And don’t forget to call your Mother. A big thank you to Jaime Leverton and Cogeco Peer One for feeding me dinner and a lovely networking event at the end of the first day of the Canadian Telecom Summit. – Panels on Customer Experience Management, Cyber Security and Network Innovation that all liberally borrowed from the language of agile tech start-ups . Coming from Waterloo, and understanding a little bit of this environment, it was interesting to hear how each of these panels were referencing the Steve Blank lean start-up methodology towards stodgy old telecom. Having a wife that is an executive in UI/UX made it even more entertaining. 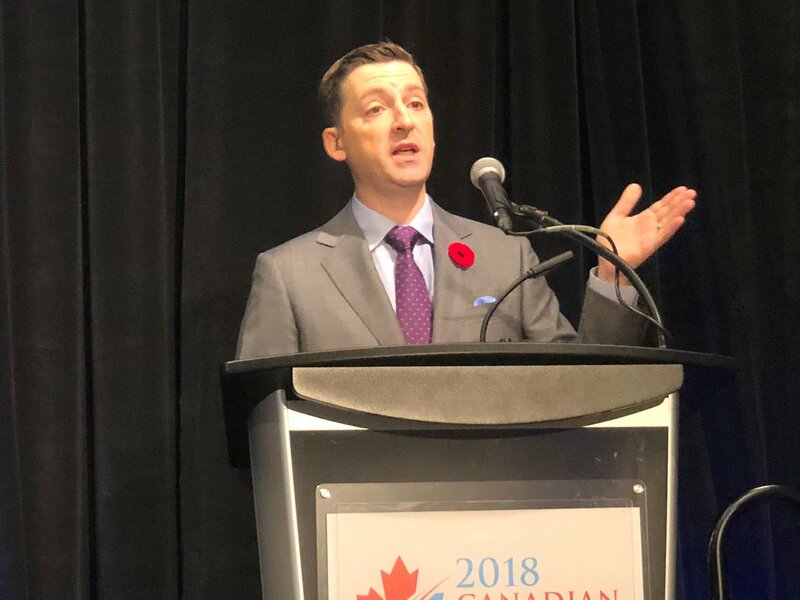 So in my discussions with people at the Canadian Telecom Summit I did find one overarching theme and that was that the traditional telcos and service providers are yet again settling for just being a commodity, a dumb pipe. With all the talk around 5G and the Internet of Things, including a keynote from Rogers at lunch, the prevailing attitude was one of being happy or content with simply providing connectivity. Even though telcos bemoan the cost of the investment to provide the network for 5G and IoT , they cant seem to think beyond providing the commodity service. It seems that the traditional telcos are content with that model. PS A final takeaway . If you find yourself at a Canadian event, hang out with the folks from Saskatchewan, they are the best !